What’s a Scissor Lift and Why Would I Need One? 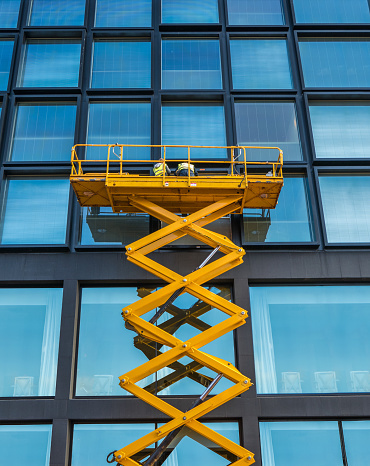 Scissor lifts, or aerial work platforms, are essential for safely working on projects at different heights. They have a crisscrossed mechanical lifting mechanism that allows workers to be elevated simply and safely. Thanks to the availability of scissor lifts as rental equipment, you don’t have to worry about purchasing one for short- or long-term jobs. You can make use of a scissor lift at any job site at which you need an elevated platform. They are ideal replacements for ladders and scaffolding, particularly for jobs where your elevated platform needs to be used in multiple locations. With a scissor lift, you don’t have to break down and rebuild the entire platform every time you have to move it. It’s the perfect tool for window washing, tree trimming, construction, and even in factories or warehouses where you need to move items on high shelves. A Tool Shed offers a variety of aerial work platforms as part of our selection of rental equipment in San Jose. To find out more about renting equipment, call (800) 286-6574.